Brent and I decided it was time for a king sized bed. And I knew that I wanted to do something cool for our headboard. I had seen pictures of headboards made out of old doors, and I wanted to do something along the same lines. 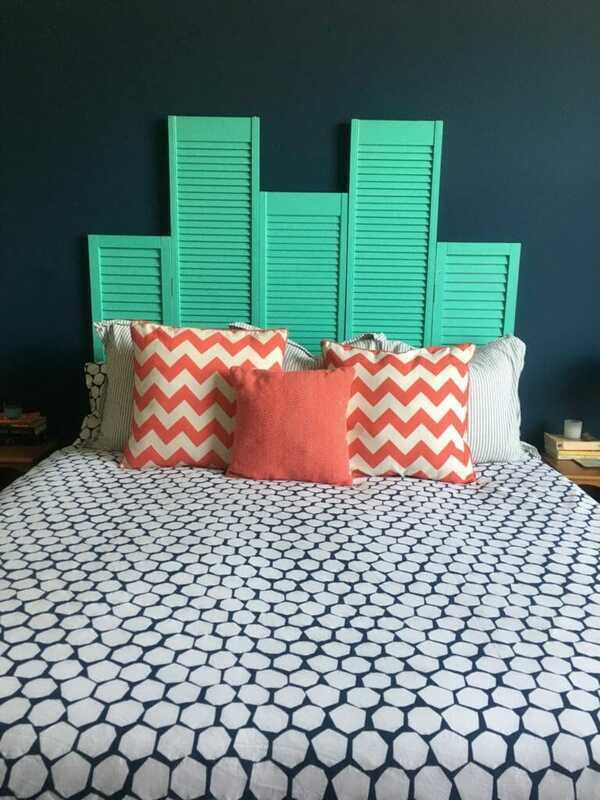 I then thought about using shutters to create a shutter headboard. To start, I happened to have a pane of tall shutters at home and found a huge selection of others while shopping in Kansas City’s West Bottoms on First Fridays. I picked out three more, and it happened to be the perfect amount because all of them together are the same width as our bed. They are different heights so I had to lay them out on the floor to figure out the best way to arrange them. I also measured the height of our bed so I would know where to place the shorter shutter (I did not want any wall showing). 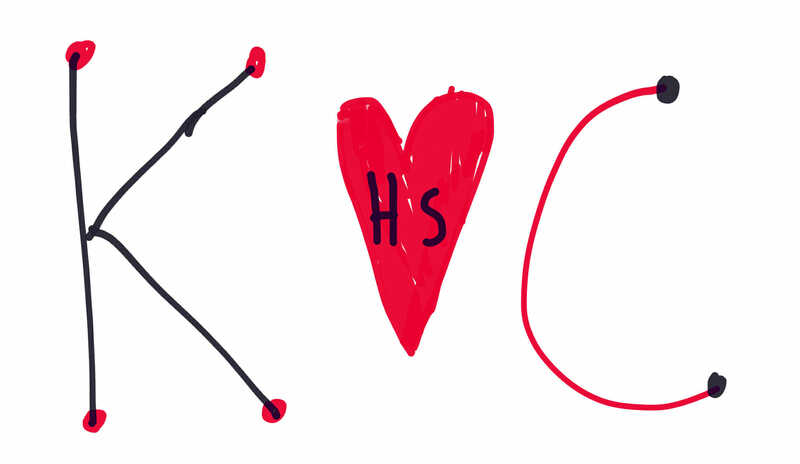 They were different colors too (a few a bright red). The red ones, I painted with Kilz first so it would be a better base coat. Our walls are a dark navy and I wanted a fun color that would pop next to the navy. I found a color combination that I liked from a magazine photo with orange and white bedding, navy walls, and a green headboard. We then went to Home Depot and found the Behr paint color Kauai. I painted the front and back of the shutters and then when they were totally dry, Brent and I hinged them together. We screwed them to the walls with anchors and places felt stickers to the corners to protect the walls. Another project I worked on for the house was shelving for my son’s room. 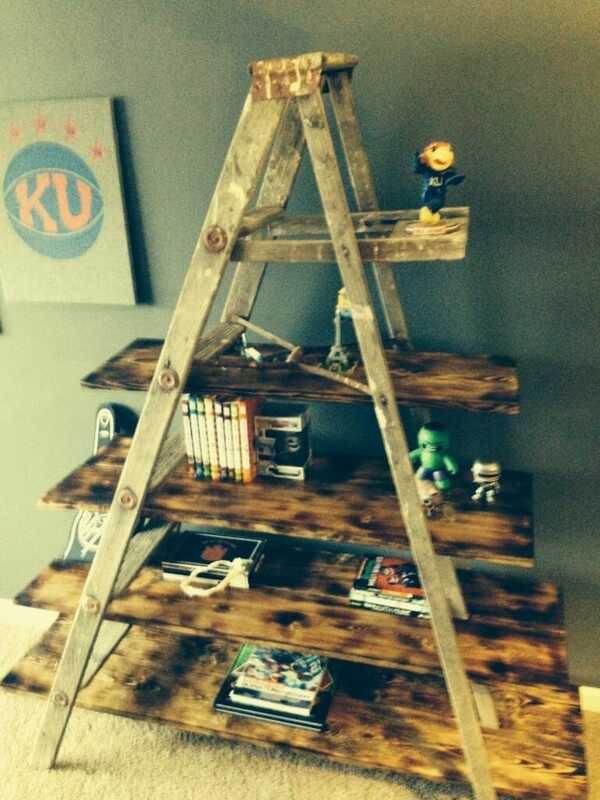 I saw projects where people transformed an old ladder into bookshelves and loved the idea. I drove by a garage sale in our neighborhood one day and got an old rickety ladder for sale in the driveway. It was $8 … and now mine. I needed to enlist some help from our handy friend Mark on the primary shelves. I gave him an idea of what I wanted: I didn’t want to lose any of the character of the ladder, wanting to see the steps and the small shelf for your paint can.